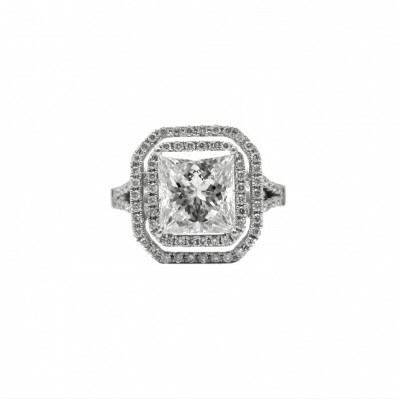 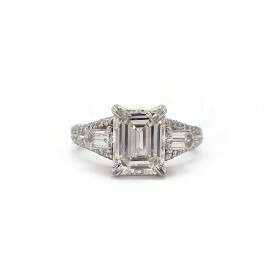 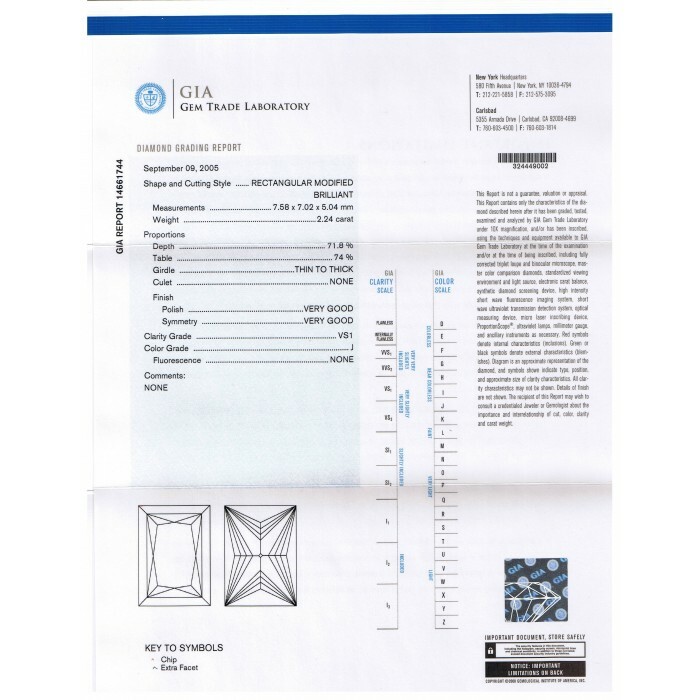 This engagement ring showcases a marvelous 2.24CT princess cut diamond surrounded by a double halo of round diamonds. 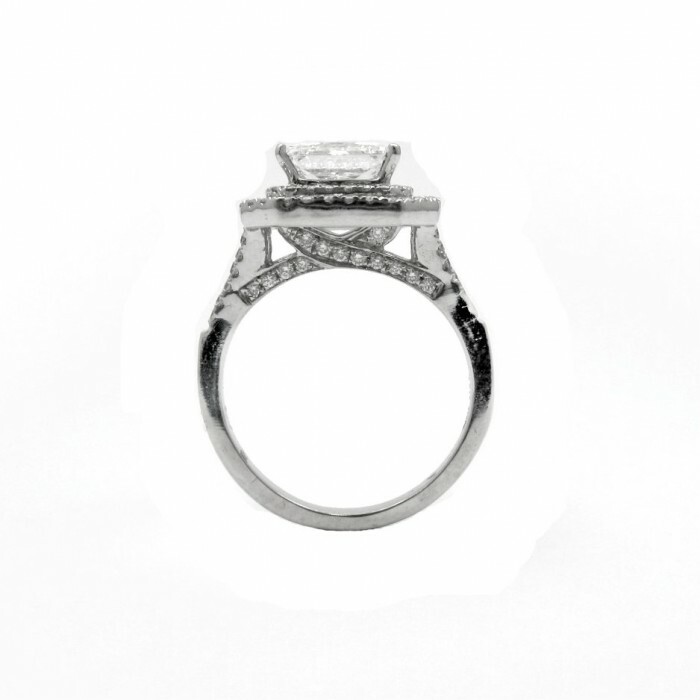 A diamond studded split shank puts the finishing touch on this ring. 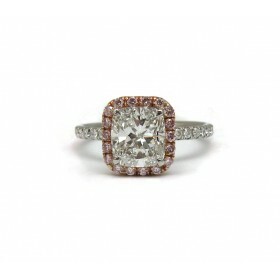 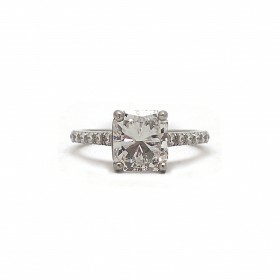 This beautiful engagement ring will look wonderful on any finger.